Learn how to create mobile app icons in Paint.net. Icons accompany every application submitted to the app stores and on your website. Don't you just love making mobile app icons? I do!!! Icons are an essential part of every application. This tutorial teaches how to create them in Paint.net graphic software. Icons are used to identify an app's purpose and is used as a launch mechanism on mobile devices and desktops. The app stores, Apple App Store, Google Play, Windows, Amazon and even progressive web apps all require at least one 'Application" icon be included with each app. There are several more various sizes of icons for various different mobile devices. Follow on to learn how to prepare icons for every device type. Creating your own mobile app icons is not too difficult if you know what you need. 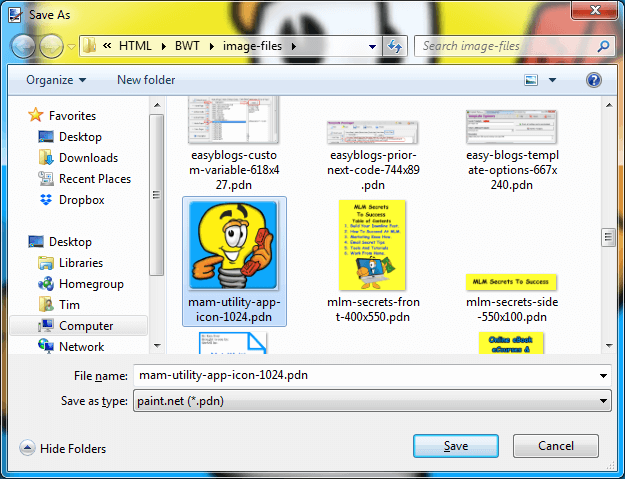 In this tutorial we will be using 'Paint.net' graphic software to demonstrate how to create an application icon. We use this software platform because it is freeware and easy to use. For this exercise you may need a plugin that contains shapes, and other functionality. We prefer Boltbait's award winning plugin. Instructions for adding this to your paint.net tool are on this page. Boltbaits Plugin for PdN. The 'Application' icon' for an iOS (Apple App Store) is to be 1024px by 1024px. That is big. But keep in mind that images can be resized. That means you can use one icon to make several different versions Here's how to make an 1024px SQ(uare) icon in Paint.net. Step 1. Open Paint.net and select 'New' image. icon or from the 'File' dropdown menu. You will see a popup dialog bos asking for the dimensions. Type in '1024' for both height and width. Make sure the 'Maintain Aspect Ratio' is unchecked. This tutorial is not going to tell you what to put into your icon that is up to you. However here are a list of things to keep in mind. While you must submit a 'square' image the overall image can be any shape. Shapes can be created by layering one image on top of the 'background.' Then simply turn the background layer off. Notice the rounded corners in our example icon. 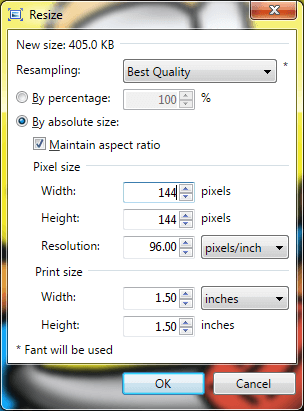 Images can be resized or scaled down much better than they can be scaled up. You can make one icon and scale it down to create several icons. This image MUST convey what the app is about. In this example we used a light bulb characature with a phone in hand. It signifies something that we use everyday to help us do what we do. The telephone signifies something we can do with the app. Step 2a. Add a new layer from the "Layers --> Add a new layer" drop down menu. Make sure the 'New Layer' is highlighted in the layers toolbox. Select "shapes" shortcut key from the "Tools" toolbox (bottom of toolbox). Set the 'brush' size to 10. Set the shape type to 'rounded rectangle.' Set color to whatever you want in the "Colors" toolbox. Draw a rectangle by placing your curser at location 0,0 (upper left corner). While holding down the left mouse button draw the curser to location 1024,1024, then let up the left mouse button. A rounded corner border appears. Step 2b. Select the 'paint bucket' icon. Place your curser inside the rectangle and click the left mouse button, this will fill in the blank space inside the border. We used a blue that matches a color of our website and is in high contrast to the yellow of the characiture. You will want to use a color that makes sense to you. Step 2c. adding the bevel effect. From the "Effects" dropdown menu select 'Object --> 'Bevel Object.' A popup toolbox appears. From here you can change the size, colors and alternate lighting. For this exercise we accepted the default settings but feel free to play with the settings to achieve your desired look. Step 3. Draw an outline (optional). Some mobile app icons will blend into the background too easily. If that happens they tend to lose the button effect. To correct that you can add a high contrast narrow outline to the icon. In Paint.net select "shapes" shortcut key from the "Tools" toolbox (bottom of toolbox). 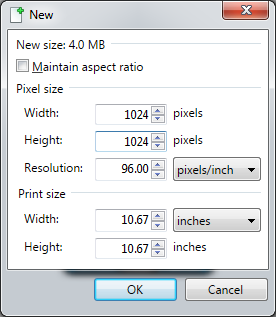 Set the 'brush' size to 1, 2 or 3px depending on the size of your icon. Set the shape type to 'rounded rectangle.' 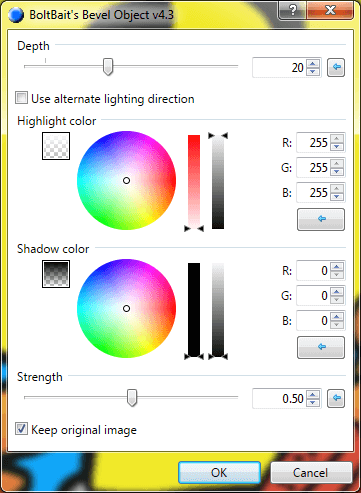 Set background color to black in the "Colors" toolbox. Then draw a rectangle by placing your curser at location 0,0 (upper left corner). While holding down the left mouse button draw the curser to location 1024,1024, then let up the left mouse button. A thin rounded corner border appears that outlines the icon. Step 4. creating the centerpiece. Well that is pretty much up to you. For simplicity you could simply type in your businesses acornym. For example BWT for "Best Website Tools." Or MaM for "Miappmaker.com." We used a store bought characiture because it fits with this app so well. A good source for mobile app icons is toons4biz.com. These icons and icon sets are not cheap. Or you may want a free icon that you can find on the Internet. Step 5. Save your work. This is so important I will say it loud SAVE YOUR WORK In the 'File" dropdown menu select 'saveas'. A toolbox screen appears where you can name your file. Give it an appropriate name like "mobile-app-icon-1024." I like to add the size of the image to the back end of the filename. Make sure you save your original as a .pdn filetype. This format saves all the layers and their state (on/off). Now that you saved the original as a .pdn you can safely resize it to create more versions of your icon. A popular size is 144x144px. Step 6. resizing. 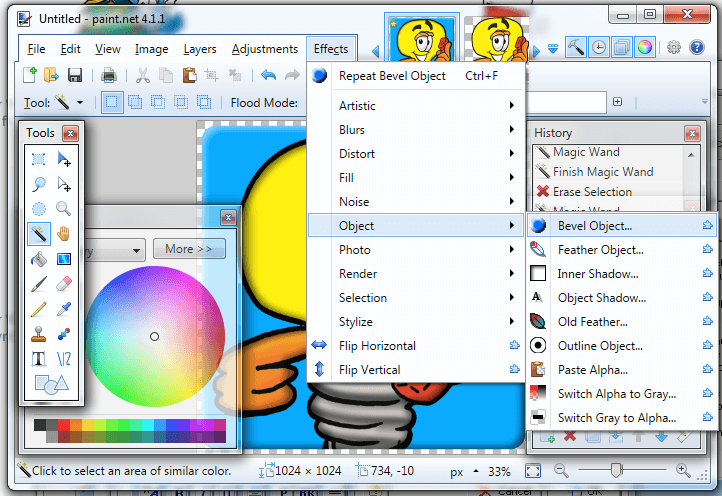 To resize mobile app icons in Paint.net select "Resize" from the "Image" dropdown menu in the top toolbar. A popup tool will appear. Make sure the "Maintain aspect ratio" option is checked. In the 'Width" field input the new size. The height value will be determined by Paint.net. Click "OK" to resize. The image will now be at the smaller size. Saves this as a new file. You must change to filename to prevent over writing your original artwork. The App Stores prefer .png images for mobile app icons. When you 'saveas' a new image make sure you select the "Save as type" to be .png. This is important because .pngs allow for transparency. This concludes the mobile app icons tutorial. As always if you have any questions feel free to contact BWT. Creative Icon Solutions is a service provided by BWT to create custom icon sets for mobile and desktop applications. All apps require at least one icon to be associated with the app. However you can submit up 15 different sizes for various purposes. Different platforms, iOS, Android, Retina, desktop and more use various sizes for app icon display. Do you need mobile app icons for your next project? Confused about which sizes of icon you need for which application? Why not get a set of similar icons and have them all covered? Are you looking for an icon template? Check out our template and tutorial bundle just below. 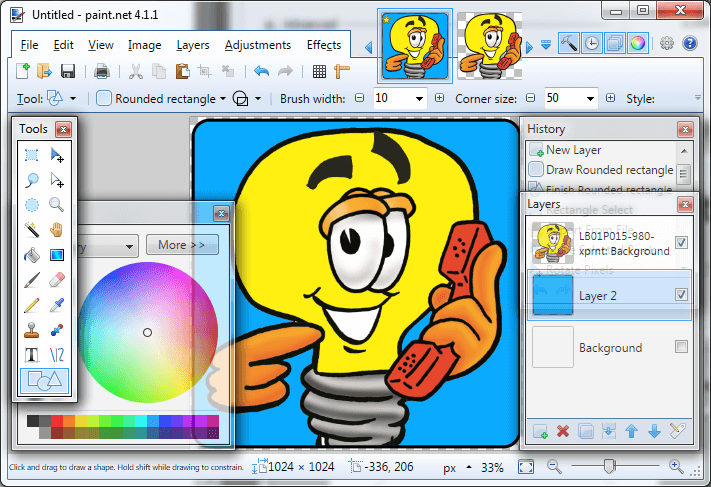 The downloadable zip file contains 10 pre-made sizes of PaintdotNet (.pdn) templates. Simply include your own centerpiece. Easy-peazy, nice and easy. Get these mobile app icons. Includes these sizes: 1024px. 512px.180px, 144px, 114px, 96px, 72px, 57px, 48px and 36px SQ. Plus this tutorial in a pdf document. The 1024px size has 3 backgrounds, red, green and blue. Use this templafe to build you own icon sets. Why buy an icon set from BWT? Great support. We want you to be happy so we are always here for you. Drop us a line anytime you need help and we will be glad to help you out.